Argentina, Spain, 2018. dir. Luis Ortega, 118 mins. 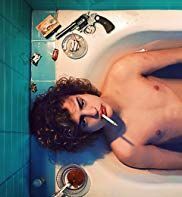 Based on the true story of Argentine serial killer Carlos Robledo Puch, this film was excellently delivered by director Ortega and superbly acted by Lorenzo Ferro (Carlos). Although the Argentine media had depicted Carlos as a monster, Ortega presents him with sympathy, as though attempting to see the other side of the picture. In fact, the film opens with Carlos narrating that he was born a thief, that freedom is all there is, and that he was sent from heaven to be God´s spy.